From personal experience I think that you never find a job when you are really focussing on it and making it your priority. For example when I used to live in London I was looking for a job after christmas and I searched and searched for a part time job. I really wanted to work in a Fashion store as that is what I study and I wanted the experience to be relevant. As I was at uni 5 days a week I needed evenings and weekends really I must have handed out at least 10-20 CV's every weekend as well as applying online and it just seemed like I had no luck ! After few months of searching I was really down about it and kind of just gave up. My friends suggested we go over to Portobello Road for the day instead of me job hunting, and when I was there I saw a sign in a shop window asking for a part time sales assistant. I went in store to inquire and took my cv in the following day. I think it was 2 days later I had a phone call for a trail shift and then at the end of the shift they offered me the job. I was so happy, it was thee cutest little boutique and I loved working there! So moral of my long story is don't look so hard ! 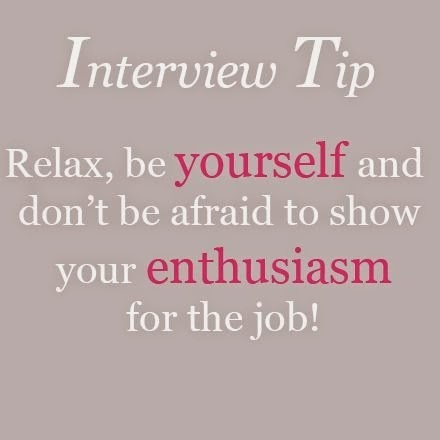 Once you have been offered an interview the best thing to do is research as much as possible ! Find out everything you can about the company. Also a good thing to do is find out about who your interview is with .. ring to find out the name of your interviewer the you can search on Linked in to see what their background is, you may have a common interest that you can discuss in the interview. Other things include a presentation or a portfolio. The best thing is to be fully prepared so even if they don't ask always take along your cv and some examples of past work even if it is just some photographs of uni/school work. 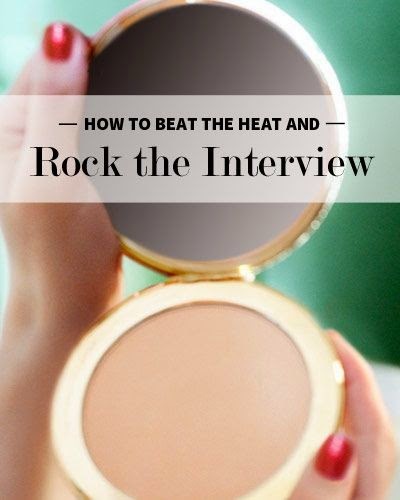 This is important to most as you want to look your very best. I feel like it depends what type of job you apply for as to what you wear. For me as I am applying for Fashion internships I want to look start but also on trend, even if you just add a scarf for a bit of colour or shoes it is good to show you know what is 'in fashion'. On the other hand if you are going for something that is not related to fashion this may not apply to you but you still need to look clean and presentable :). It is okay to be nervous, it is natural! At the end of the day though even if you don't get the job it is an experience, I know that I am a lot more confident and prepared now than I was a few months ago at one of my first Internship Interviews. Your interviewer had to go through the same process as you to achieve their job so just look at it that way ! If you unfortunately done get the job be sure to ring/email and ask for some feedback as to why you wasn't right for the position. It is really helpful as it can help you prepare for the next one and you can work on what you may have done wrong. I hope my advice can help some one :) I am by no means an expert but I wanted to share my experiences with people going through the same thing. I am thinking of doing a post about Interview Questions? Let me know if any one would be interested ! This is really interesting!!! I completely agree with these - especially the research, my current job only had one website which was awful and even though Ive since learnt none of the info on there is relevant to my shop whatsoever, it showed I looked into the company and the fact I was also from Yorkshire (applying in Derby) and showed my passion for the company that was what i think helped get me the job! Good luck in your search! I'm sure the right one will come your way!